Bifold doors have seen a huge rise in popularity over the past few years. Designed to concertina to one side, they provide uninterrupted access to your garden or patio from the inside of your property. This ability to create wide, open access really helps to bring the outdoors in and vice versa. Bifold doors can also help to create a feeling of space and light, making your property seem bigger than it actually is. If you have bifold doors installed, an important consideration in trying to blur the lines between your indoor and outdoor spaces is the flooring used both inside and out. Try and choose a flooring that can be used on either side of the threshold or something that is similar in look and style to maintain flow between the two. This will really help to enhance the space and blend the two living spaces into one. Another way of creating flow between your indoor and outdoor spaces is to have an awning installed over your bifold doors. By placing some shelter over the outdoor space, it helps to create the illusion of the property extending outwards and so unifying the two spaces. 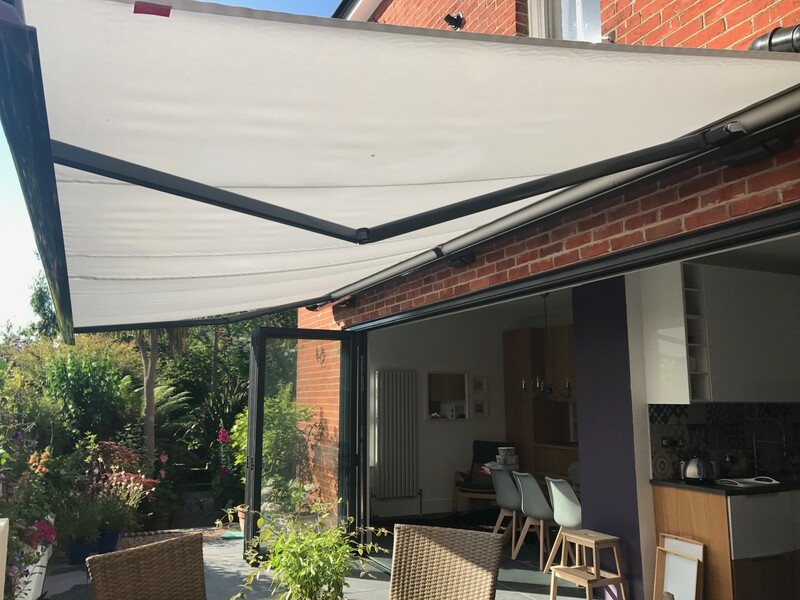 An awning will also provide privacy from overlooking properties and create shade from the sun and shelter from light rain spells, helping you to spend more time outdoors. When choosing furniture for your outdoor space, look for tables and chairs that could be used inside or outside of the home. Outdoor sofas are a popular trend and they can help to create an alfresco dining or relaxation area that wouldn’t look out of place indoors. This again helps to blur the lines between the interior of your property and the garden, patio or balcony. These are just a few ways you can extend your living space outdoors this summer. 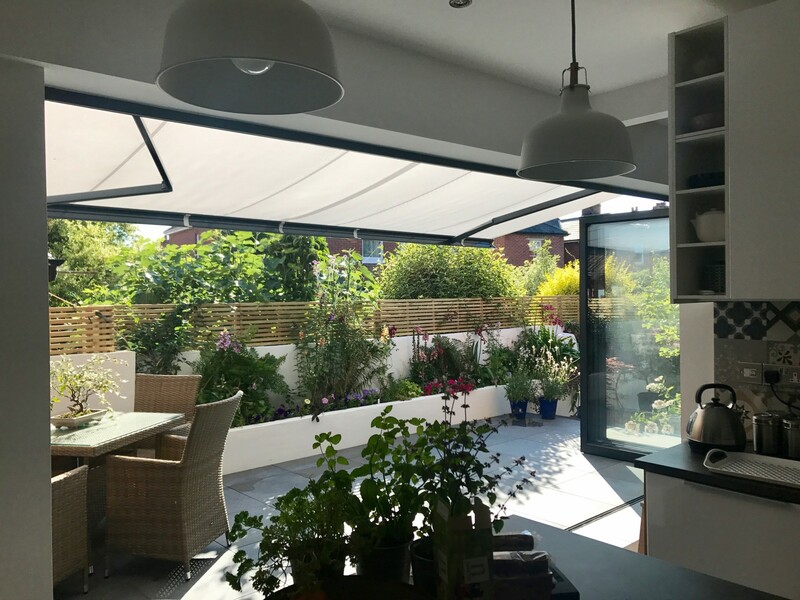 You might also want to read our blog ‘6 Benefits of Awnings for Bifold Doors‘ for more ideas. If these tips have inspired you and you are interested in having an awning installed over your bifold doors, we’d love to hear from you. Find out more about our bifold door awnings by giving us a call on 02381 290170 or email sales@awningsouth.co.uk.